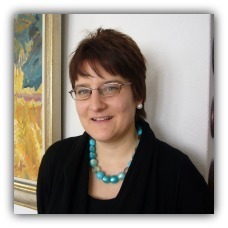 It is with great pleasure that we announce the appointment of Dr Dorothea Bertschmann as a Tutorial Fellow of the College. Dorothea is a distinguished New Testament scholar and will take up her appointment fully from January 1, 2017. She is presently a Lecturer in New Testament in the Department of Theology & Religion at the University of Durham. Her “Bowing before Christ – nodding to the State?” is published by Bloomsbury. Dorothea, who is an ordained pastor of the Swiss Reformed Church, studied in Bern, Oxford and Durham.